Instead of a projected 2.9% growth rate Israel's economy projected to only grow 2.4%, still outpacing the US and Europe. Among its other effects, Operation Protective Edge apparently has put a dent in Israel's economy. As a result of the losses of work hours and productivity during the war, Israel's gross domestic product (GDP) growth has been revised downwards. Instead of the 2.9% expected at the beginning of the summer, growth will be only 2.4%, the Bank of Israel said. That's still better than the US and Europe, where growth is expected to barely break the 1% level. But for Israel, where the economy has been growing dynamically for the past five years, rhe downward revision is a sign that the war indeed did some damage. Besides losses in services, manufacturing, and exports due to the difficulty of getting workers to and from their jobs, the biggest losses were recorded in the tourism industry. On Sunday, the Tourism Ministry announced an aid package that it is hoped will help those businesses get back on their feet. In a statement, the Ministry said that the assistance being given was independent of any specific allocations that the government was planning to make for compensation of individuals and businesses who sustained losses in the war. Legislation on that compensation is pending, but the Ministry said it was not waiting; instead, it is doubling its marketing budget, for a total of NIS 10 million, through to the end of 2014. 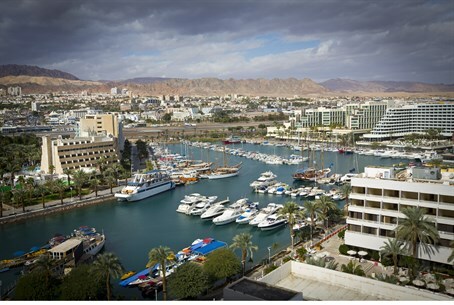 In a letter, Tourism Ministry Director-General Amir Halevi said that “as a result of Operation Protective Edge and its impact on the tourism industry, the Tourism Ministry intends to take a number of immediate steps" to assist industry members. “It is our intention to act immediately on an internal decision that does not require the approval of the Finance Ministry, within the existing frameworks,” Halevi added. Besides doubling the marketing budget, the government is subsidizing the cost of trips abroad for tour operators, hotel marketers, and other tourism industry workers, to attend international shows and events to promote Israeli tourism. The debate over how much Operation Protective Edge cost Israel is having a practical effect on the state budget. A report on Israel Radio Monday said that as a result of its lower estimates of the war's costs, the Finance Ministry is unlikely to give the Defense Ministry all of the money it is demanding. Defense Minister Moshe Ya'alon appraised the operation at NIS 9 billion ($2.5 billion), noting "an Iron Dome interception costs $100,000. It is worthwhile, from a financial perspective, but is still expensive." The Defense Ministry is demanding at least the cost of the operation in the state budget now under negotiation. But the Treasury sees things differently. The report said that officials close to Finance Minister Yair Lapid believe that the war cost only NIS 6.5 billion, nearly a third less than the army's estimate. As such, the Defense Ministry's demands are unwarranted, Lapid's aides say – and that conviction will be reflected in the final amount to be allocated to the Ministry.